Peaks Island is a 720 acre island located three miles from Portland, Maine and accessible by a twenty minute ferry ride. The island sports a rich past, scenic beauty and a laid back lifestyle. The MacIsaac family has been offering tours to visitors and islanders for 15 years. Once known as the Coney Island of Maine, Peaks Island features neighborhoods of Victorian cottages and newer homes, as well as World War II forts that defended Casco Bay. Today Peaks Island is a neighborhood within the City of Portland- perfect for a day trip. Its three museums, ice cream and gift shops, four restaurants, scenic views, master gardens and art galleries offer much for visitors. 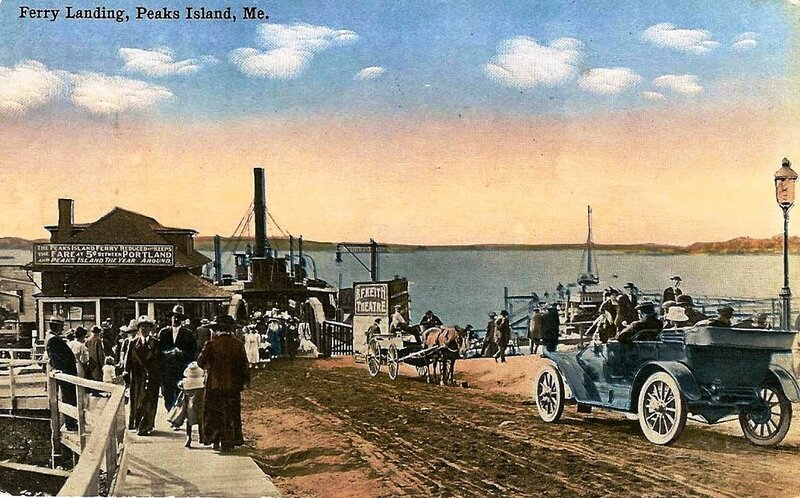 Our tours are designed to help you gain an understanding and appreciation of Peaks Island's rich and unique past as a fishing village, bustling summer resort and an important military base. The tours include historic sites, photo opportunities and a stop at Peaks Island's own version of Stonehenge. Our tour guides are long time island residents who will share a host of true tales about island life. We look forward to being your host! "This Golf Cart tour was the best attraction on our 3 day visit to Portland and the southern beach areas of Maine." "This tour is so much fun and a fabulous way to see and learn about the island from a long time native." "Make reservations...you don't want to miss this! CALL TODAY ... 207-766-5514 ... to schedule your very own unique Peaks Island adventure!